Select your Star rating above in each Category and Click "Submit Your Rating" Write a Review of your Visit of Yosemite Pines RV Park. .
A visit to beautiful Yosemite National Park is easy and affordable Yosemite Lodging when you choose Yosemite Pines RV Resort & Family Lodging. Located just a 30-minute scenic drive from the western park entrance, Yosemite Pines offers visitors a variety of Yosemite area lodging options when seeking lodging near Yosemite National Park. 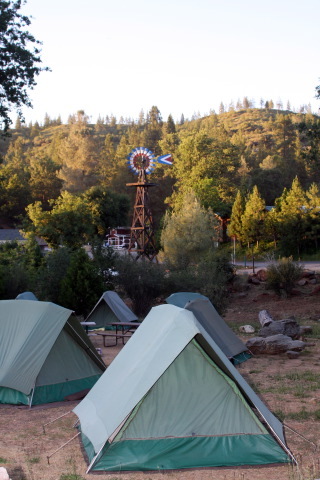 Whether you’re looking for Yosemite cabin rentals, yurt rentals, tent camping sites or RV sites, we have what you need at affordable prices. Additionally, we offer our guests a wide range of amenities to enjoy without leaving our grounds. 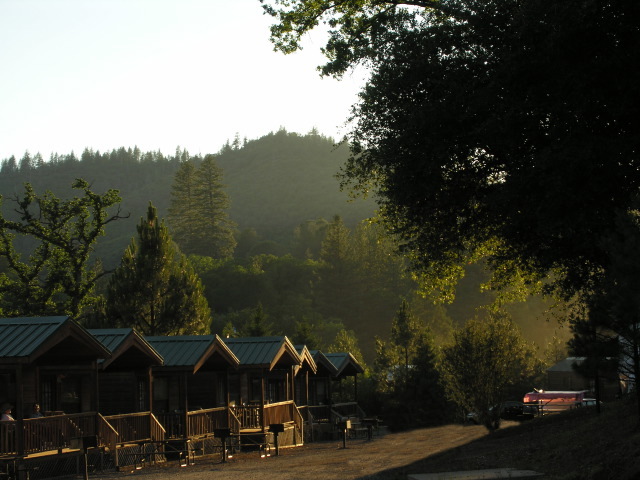 Contact us to make your Yosemite camping reservations or cabin rentals online, or by phone at (209) 962-7690. 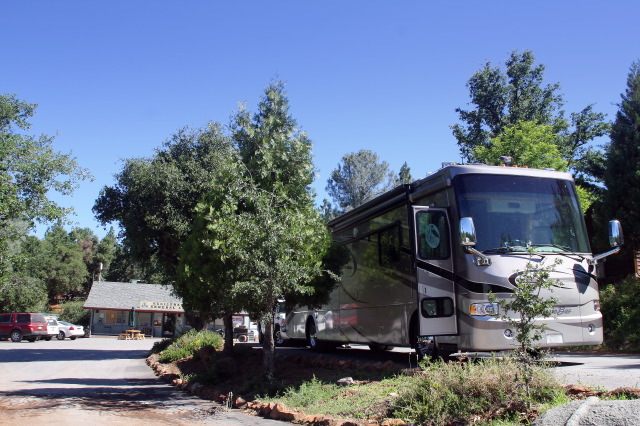 In the middle of California's Gold Country, near the scenic foothills of the Sierra Nevada Mountains lies Yosemite Pines RV Resort & Family Lodging, one of the best Yosemite vacation and Yosemite lodging locations in the Yosemite area. 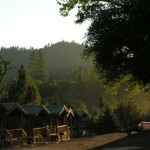 It's conveniently situated near Yosemite National Park and all of Yosemite 's attractions. A Yosemite vacation is the entrance to an unparalleled world of natural treasures and scenic wonders. Almost every visitor to Yosemite National Park is first drawn to the incomparable Yosemite Valley. Yosemite National Park is not only the oldest park, but also the most unique of its kind in the United States. Located in California's western Sierra Nevada, its scenic grandeur and natural mystery remain unrivaled in the world. Even backpackers heading out on Yosemite 's hiking trails begin their Yosemite vacation in the valley. And it is to the valley to which they return on their way home. The best of Yosemite National Park is first discovered from this vantage point. While Yosemite National Park offers world renowned beauty, there are many other nearby attractions to consider when planning your vacation. These include Don Pedro Lake, Rainbow Pools, the Mariposa Grove of Giant Sequoias, along with many things to do in Jamestown. Follow Hwy-120 East to Groveland. Continue 1/2 mile East of Groveland on Hwy-120 and then turn right onto Old Hwy-120. Follow Old Hwy-120 for 1 mile. You will see Yosemite Pines RV Park and Campground on the left. Follow Hwy-120 West for 22 miles after you leave Yosemite National Park. Turn left onto Old Hwy-120. 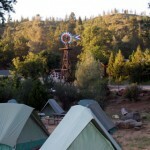 Follow Old Hwy-120 for 1/2 mile to the Yosemite Pines RV Park and Campground on the right. RV'ers, please do not take Hwy 49 as Mapquest recommends, road is very windy and not RV friendly. Also, please do not take Old Priest Grade. This route is for passenger vehicles only and is very steep and windy. Weight limits do apply and are enforced. Take Interstate 5 to Hwy-99 toward Merced. Take Hwy-59 north to Snelling. In Snelling make a left hand turn at Hwy-J59. Continue on Hwy-J59 until it comes to a end. Turn right and you will be on Hwy-108. Continue approximately 4 miles and make a right hand turn on Hwy-120. Stay on Hwy-120 through the town of Groveland. Continue 1/2 mile East of Groveland on Hwy-120 and then turn right onto Old Hwy-120. Follow Old Hwy-120 for 1 mile. You will see Yosemite Pines RV Park and Campground on the left. It is 20 minutes drive from the entrance to the park, on a gravel road, but a decent one . It is a great place…We stayed in a nice cabin. It has a bedroom and a pull out couch. Full kitchen and bath. Everything you need is there They have a pool and a petting zoo and a gold mine tour. We had 4 people in the cabin and it was fine. 2 on the pullout 2 in the bedroom. The RV park looked nice also, we were interested, it is sure that next time we will com on park with an RV. It is a full-hook-up ready site. There are no other reliable options in this area. Great setting for a great relaxing trip to Yosemite. We stayed 5 days and it was FANTASTIC!!!!!!! Me and my dad decided to a cross country father-daughter road trip ending at Yosemite National Park for a few days. I booked a basic cabin at Yosemite Pines after asking around my friends and they totally recommended Yosemite Pines. Since they had a good time and I saw the prices are pretty reasonable, I thought I would give Yosemite Pines a try, why not, right? The basic cabin met our needs really well after a long, long drive. I just loved the rustic accommodations and the beds were comfortable, dad even liked the futon as it brought back his childhood memories of cabin living! The bathroom was clean which I appreciated and the service was very nice, we did not have problems with anything and I was pleasantly surprised at the large facility and lovely amenities! The television was nice when we just wanted to kick back after a hard day hiking through Yosemite National Park. Oh and I loved the fact that they were pet friendly because we brought along our Golden Retriever, Buddy, and he loved the woods. There was even wifi but we did not need it so we can enjoy the nature instead of the computer! In the end, me and my Dad had a grand time and we’d stay here in, maybe even in a cabin again! 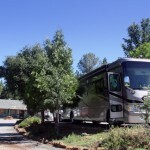 We stayed at the Yosemite Pines RV Resort last August and had an amazing experience. This was our first trip to Yosemite National Park and it certainly helps if you have informed and friendly people to guide you. The staff was extremely helpful and extended their guidance and support to our trips to the park. Apart from the distance from the park (45 minutes to the entrance) which we were aware of prior to booking, everything about the place is fabulous. We stayed in a premium cabin which has a living room, a loaded kitchen and a large bedroom. Cable TV is also available for those who are hooked to it even during family outings. Oh yes, there’s internet access too. Kudos to the staff for maintaining the place so well. The quiet hours are implemented and guests are well attended to. August is not the best time for white water rafting as the falls are almost dry by then. So we stuck mainly to the valley. We missed the Perseid Meteor Shower by a week which was by and far the only low point of the trip. If you havent visited Yosemite National Park yet, then you are missing out on an unparalleled experience. We were there with 6 adults and 2 children and it was completely uncomfortable. First of all, the cabin had a loft that had enough beds to sleep 4 people, however, the loft ceiling is low and only my 5-year-old could walk around standing straight up. You can't dress comfortably up there and the stairs going up to the loft were narrow and the steps were short. Bringing luggage up and down was dangerous! There was another pull-out sofa bed downstairs but it was so uncomfortable that my friends decided to sleep on the floor. The only semi-comfortable room was the one with the queen bed but there's barely enough room to walk around the bed in there. The bathtub had a major clog, the water pressure was terrible, the AC in the cabin barely worked and the pool was filthy the entire length of our stay. (This was the only thing that we could use to cool ourselves down in that heat.) We advised the staff of the dirty pool and they said their pump had broken and there was nothing they could do. It was disgusting. The only positive thing I can say is that the “resort” wasn't too hard to find.